Having a hummingbird land on your Wand just inches from your face is truly a thrill! 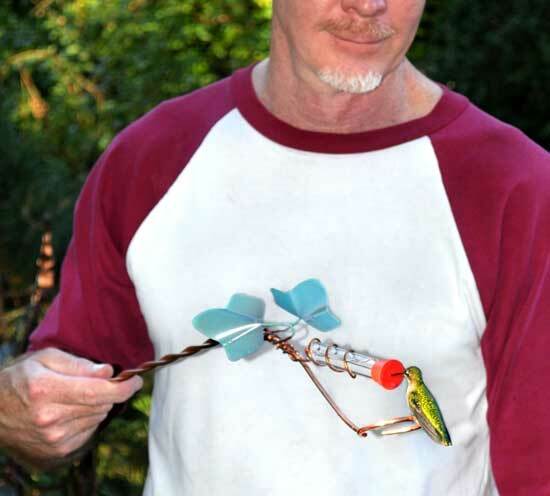 Hang it out with your other feeders and when you want to use it, take all your feeders down and hold the Wand in the same area. In minutes, you'll have a hummer land and get up close and personal with you. Similar to Whimsy Wand, except featuring ivy and no red glass bead.